Franks n Beans is looking for daily(ish) players that enjoy playing the game, but don't want guilt trips, additional responsibilities or a lot of requirements. Laid back is our motto. -It would be great if you participated in the events to help out squadron, but not required. -It is appreciated if you use a name other than simply Captain, else we will probably call you Bruce. 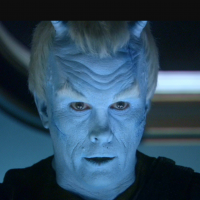 Also an Avatar picture helps for those of us that can't remember names. Bruce, wasn't it? -We don't have a website, or spreadsheets to fill out or any other life stealing activities other than playing the game. Laid back. No pressure. Bonuses. Citizenship is guaranteed. If you are interested message me here, or in the game search Fleets for Franks n Beans. If interested, please provide your player name and avatar, so I can look you up to send you an invite. This fleet sounds perfect. My avatar is TOS Uhura and my level is 60. I have been playing since 1/19/16, pretty much everyday. I am in a fleet now which has been inactive for over a year, only one other player around and the admiral is long gone. Let me know if I need to leave the fleet before you can invite me. Forgot to note, my player name is the same - Ohma. I'd love to join. Captain name Devin. Hugh avatar..
We'd love to have you join the FNB. I searched for Devin and there were quite a few, but none with Hugh avatar. Nice. Ohma in and starts a squad and Devin in and joins the squad. Welcome to FNB! Hi. I'd love to join (been trying to do it solo and getting nowhere fast). Hey Ozy - just sent you an invite. Sometimes they don't go through properly, so I'll ask another fleet officer to send you one to double up. Looking for a more active fleet (just picked one at random for the achievement) Currently lvl. 27, Capt. Name psyberOne, Avatar Scotty. Rank 23518 in Founders. I just left my current fleet. At this point winter roadkill would be more active. I'll look for the invite, thanks. 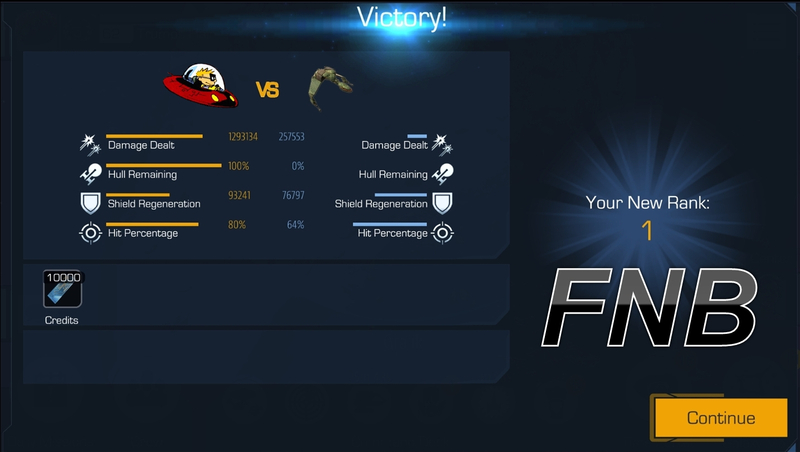 FNB still open to daily players who want bonuses from star base building, including honor and chronitons and we're pretty handy in a bar fight! No pressure, no drama, no chat apps, no blah blah blah. If interested, post your player name and avatar, so I can look you up & send you an invite. Hi, If there is still room in your fleet I'd like to be considered. My player name is Greg level 58 captain & my avatar is Admiral Kirk. I play everyday & try to get all the dailies & I do participate in almost all events. I'm interested in joining a new fleet, if you still have slots open. Perfect! You will love it - we have a core group that plays every day to hit dailies and hoping to expand. Greg - I am searching for you but not finding you. I will keep looking. Capt. Lost - just sent you an invite. Greg - I find some Gregs but not yours. Maybe you can search my name Dane 'Glynn Fury (avatar Capt. Kirk) and send me message and then I should be able to locate you. I got a stupid question. How do I search for you? I have never needed to search for someone before so I don't know how. ok lets try this again. name is now findme level 58 & avatar is Admiral Kirk. I looked for that button but I guess its visible to fleet members only. Found you! Invite sent. I am also having a fleetmate send a duplicate invitation. My brother and I are in a fleet of two and would like to join. Me and my brother started FNB! You should get duplicate invite from another fleet mate too. See you out there! I have a ticket in to DB since many people do not receive invites. I read another thread that indicates you may need to leave your fleet in order to receive invites, which sounds like a big leap of faith, but worth a try. 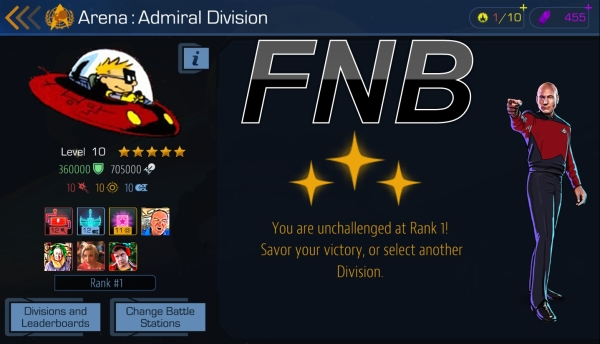 So... if interested in joining FNB, either post or PM me letting me know you are interested, provide player name, level and as long as we have slots, we'll accept you so I will tell you and you can leave current fleet. Once you leave your fleet, you will also be able to search in the fleet screen on Franks and Beans and send a request to join. This option only appears if you are not currently in a fleet. Whew! Invite sent and... RECEIVED this time and... Vir Cotto is in the Fleet! Hi, I'm looking for a new fleet, lots of inactive players in current one. I reach daily goals every day, participate in events, donate max to star base every day, etc. I am still learning the finer points of the game so would love a fleet I could communicate with as needed but not required. I wasn't sure about the best way to contact you so I also send you a pm.